Cost-benefit analysis is an integral part of investment analysis and risk management program. 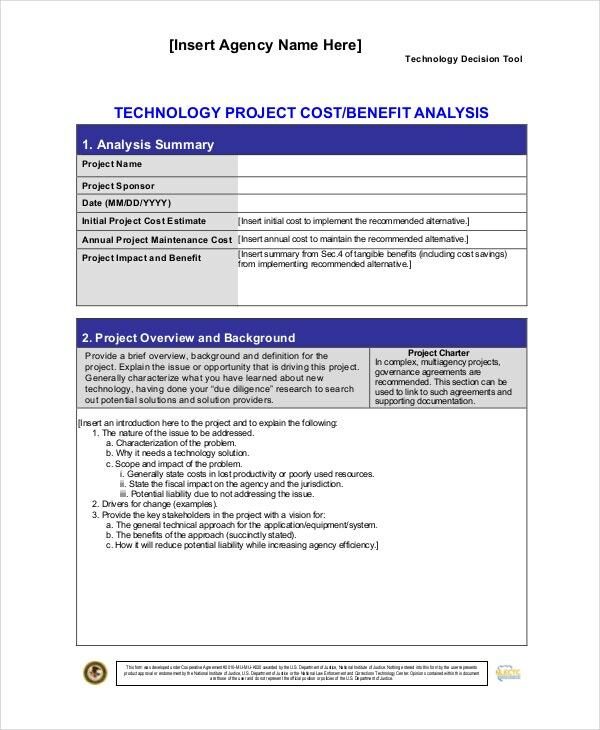 This Analysis template enables you to make an assessment of the benefit you have derived from the costs you have incurred on a particular project. This is an ideal way to evaluate your investments. Cost-benefit analysis can help you determine which options or processes are more profitable regarding returns compared to other options. 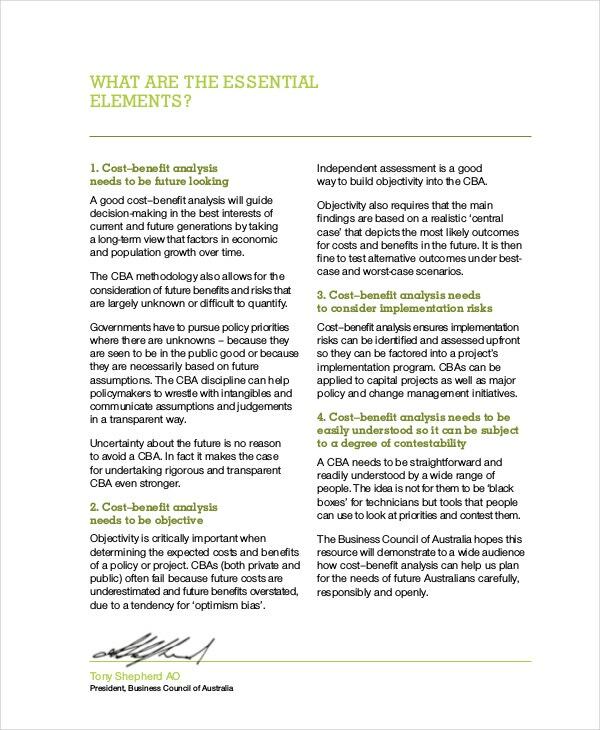 Following are a few Cost Benefit Analysis Templates which will assist you in understanding the concept better. 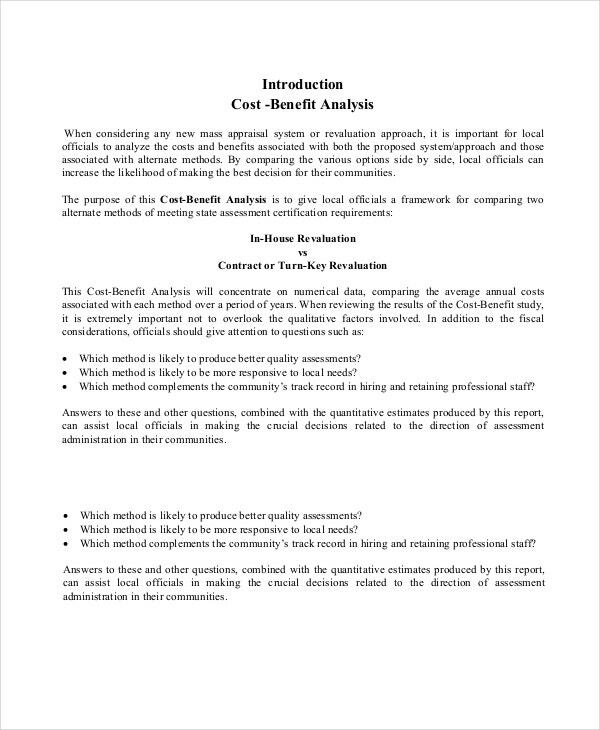 This Simple Cost Benefit Analysis in Word template will enable you to evaluate the cost benefit of your business, and it is available in Word format. You can directly use this template by putting in your data or making changes in it as per your requirement. You can also check Business Analysis Templates. This is a universally acceptable format for making a cost-benefit analysis, and this format contains all the required formulas and examples which will make your task a lot easier. You should use this template for your business for making a cost-benefit analysis. For any organization, while considering any new appraisal system or revaluation approach, it is necessary for the officials to analyze the costs and benefits associated with the various proposed systems and the available alternative methods. For that, you can use the above template. > Why do you need a Cost Benefit Analysis Template? 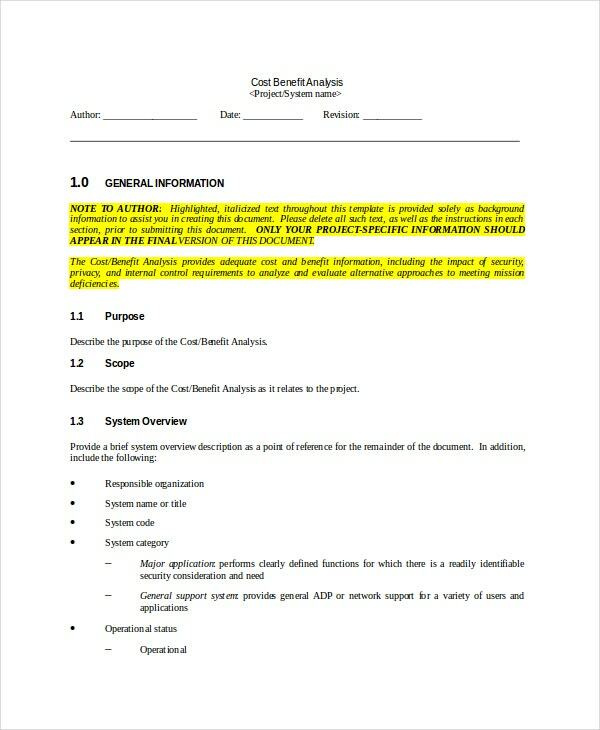 The Cost Benefit Analysis Templates cab used to make excellent reports of the cost-benefit analysis. 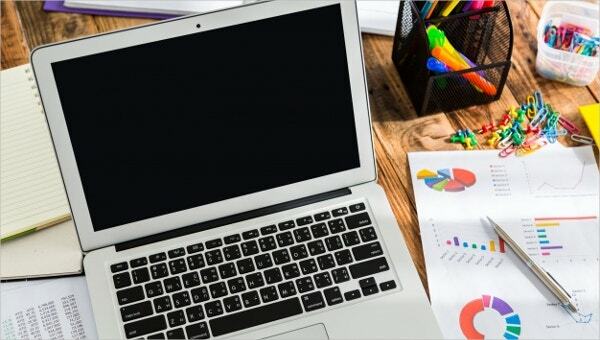 These templates offer guidelines and cost analysis example data which will help you in understanding how the data can be used more efficiently. They will also assist you to learn how the charts are made, conclusions are drawn, etc. This is an excellent way to learn the process of report making. 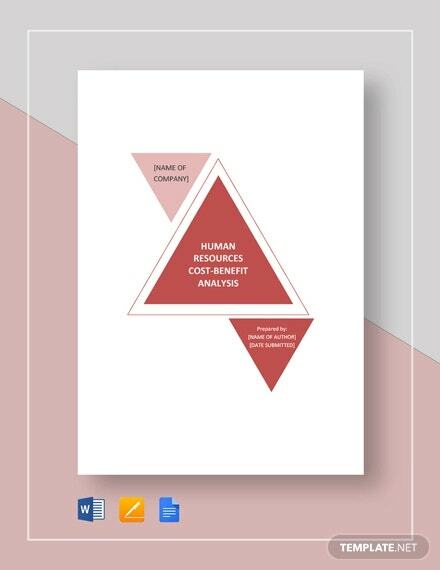 These templates will come handy for any organization as they offer a ready-made layout and contain many examples and illustrations for making the concept of cost-benefit analysis clear. 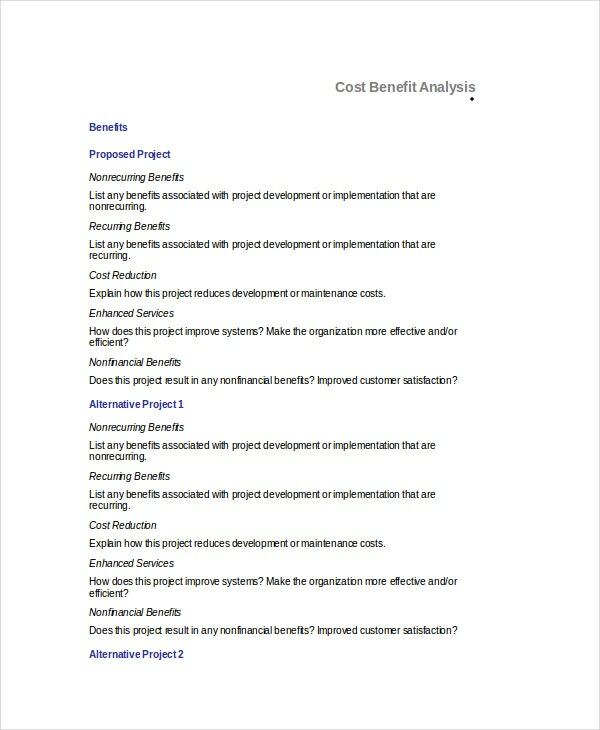 The primary objective of this Manual Cost Benefit Analysis Template is to provide the enterprises with guidelines on how to conduct and present cost-benefit analysis reports. This will offer a more stable ground for better decision-making. This template is available in downloadable PDF file format. > What is the benefit of using these Cost Benefit Analysis Templates? 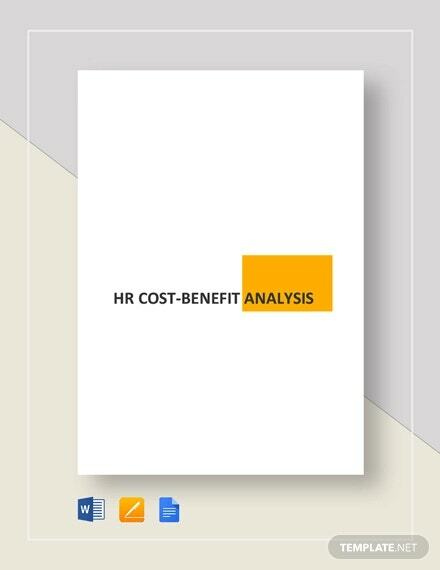 The foremost benefit of using a cost-benefit analysis template is that it provides you a platform or guide to make an error-free report. Preparing a cost-benefit analysis is an incredibly tough job as most as it involves mathematics, commerce, statistics and lot of systematic presentation. 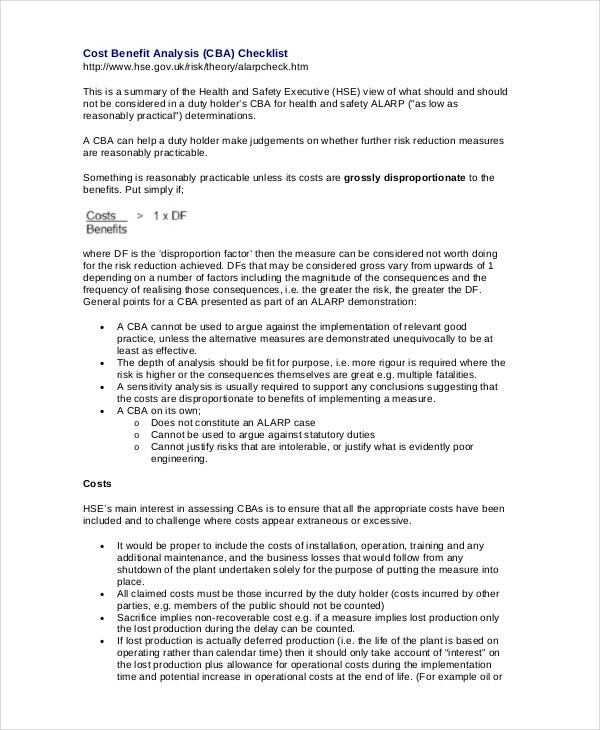 And the best part about these templates is that even an amateur can create a report on cost-benefit analysis using these templates. Data will be yours; only a platform will be provided by these templates to arrange them in order so that you will be able to glide through the process of report making. You can also see SWOT Analysis Templates. 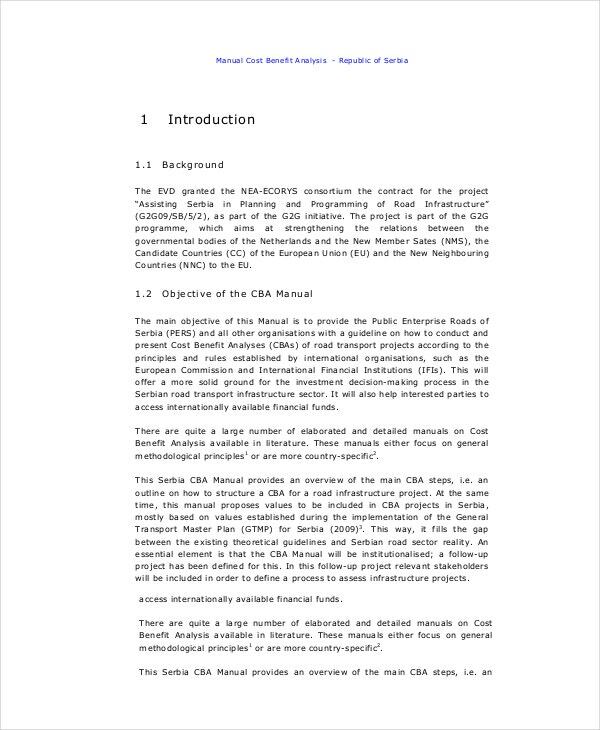 We have a vast collection of cost-benefit analysis templates, and you should go through those to get a clear understanding of the whole process involved in making such reports. These templates are completely customizable. So all you need to do is download the template that matches with your requirement, input your data, and you are ready to go.